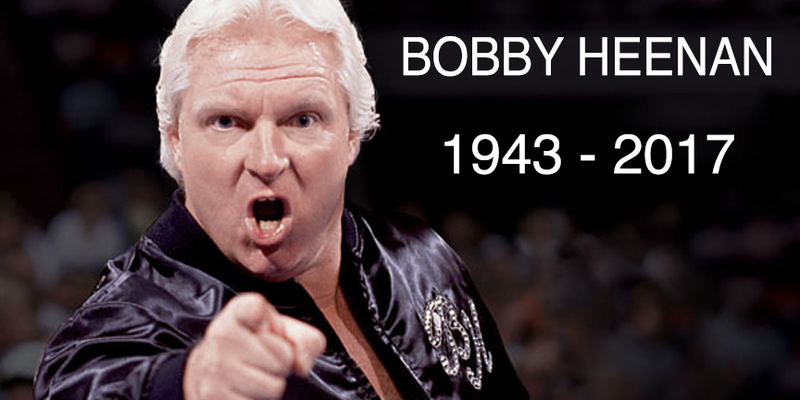 The 72 year old legend manager, Bobby “The Brain” Heenan has passed away. While details of his passing have not been released, Heenan has been struggling with his health for quite a while. A number of pro wrestling personalities, including Ric Flair and Jim Ross, have commented this evening on the passing of WWE Hall of Famer Bobby Heenan. Details of his passing have not yet been made public, but he had been dealing with a number of health issues since his battle with throat cancer. Heenan, 72, was an amazing performer who was a true triple threat – he could wrestle, he could manage and he could announce. Heenan wasn’t just good, but excellent in every role he was ever given in professional wrestling. It’s not a stretch to say he’s the greatest manager in the history of professional wrestling. No less an authority than Jim Cornette has said it. In the heyday of Hulkamania, when Hulk Hogan was THE name in pro wrestling and the WWF championship was the most important thing in that world, Bobby Heenan was the number one threat to Hulkamania, managing the likes of King Kong Bundy, Big John Studd and most famously, Andre the Giant in an attempt to dethrone Hogan. Heenan worked the main events of Wrestlemania 2 and 3, managing Bundy and Andre against Hogan. His broadcast team with Gorilla Monsoon was equally legendary, a duo that did a great job at getting over the stars while also presenting incredibly funny banter that enhanced the product. They really were the Bud Abbott and Lou Costello of pro wrestling announcing. I’ll have a more detailed look at Heenan’s career as quickly as I can write it, but there is no doubt that there will never, ever be another performer like Bobby Heenan. Our deepest condolences to his family, friends, fans. Pro wrestling lost a true measuring stick for greatness today.